Test drive a sample here of Class #2 of our Wild course, about SCENES & TRANSACTIONS. You can download it here, and now you can buy the whole course. • Mapping your scenes through transitions. • How to use transitions to keep your reader contained. • Making use of line breaks. • How scaffolding can help you better understand transitions. Linda Joy and Brooke both fell in love with Cheryl Strayed’s Wild when we read it, and we immediately saw its value as a teaching tool for all of the skills the author brings to the memoir. 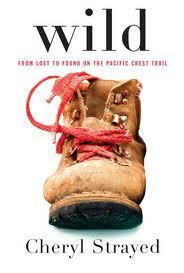 Strayed uses what’s called a framed structure, meaning that she writes the story of her life, but uses her limited time on the Pacific Crest Trail as a means to contain her story. In this class we’ll showcase some of the things Strayed does brilliantly—structure, transitions, flashbacks vs. memory, and reflection—so that you can begin to use all of these skills in your own writing. CHECK OUT OUR FULL COURSE.